Lauren Wade should have been setting off for another day of school on Friday morning, but instead her parents Margaret Wade and Marie Sweeney were being jailed for neglect which led to her death. On March 20, 2015, the two-year-old was found unresponsive on the couch of the family home in Sighthill, Glasgow. An ambulance was called and her mother administered CPR on the advice of paramedics. Thirty minutes later, after being taken to the Royal Hospital for Sick Children in Yorkhill, Lauren was pronounced dead at 8.07am. According to Glasgow Child Protection Committee’s significant case review, a post-mortem examination a few days later showed Lauren had been “filthy with severe head lice infestation and extremely thin”. A further double-doctor post-mortem examination carried out on April 2 revealed Lauren was 80% of the expected weight for her age – with her ribs, shoulders and backbone “very visible through her skin”. Her hair was reported as “heavy and matted”, appearing unbrushed for a “substantial period”, with multiple ulcers and crusted scabs over her body. The pathologist estimated an infestation period of head lice of at least six months – possibly up to 17 months or longer. The home in which the toddler lived with the women was described as “uninhabitable” by the investigating police officer. Head lice were apparent even from the outside door frame – and the couch on which Lauren lay was so ridden with head lice it had a large hole in it and had disintegrated. Rubbish bags with food and waste dating from 2013 were found in the kitchen, which was difficult to gain entry to because of the volume of bags, the review said. Both adults and two older children involved in the case were also found to have extensive head lice, which were so visible officers could see them. The police office and vehicle in which the women had been transported had to be treated by pest control firm Rentokil, while the ambulance and paramedics’ uniforms had to be cleaned. Police referred the case to the Child Protection Committee and the review was undertaken. 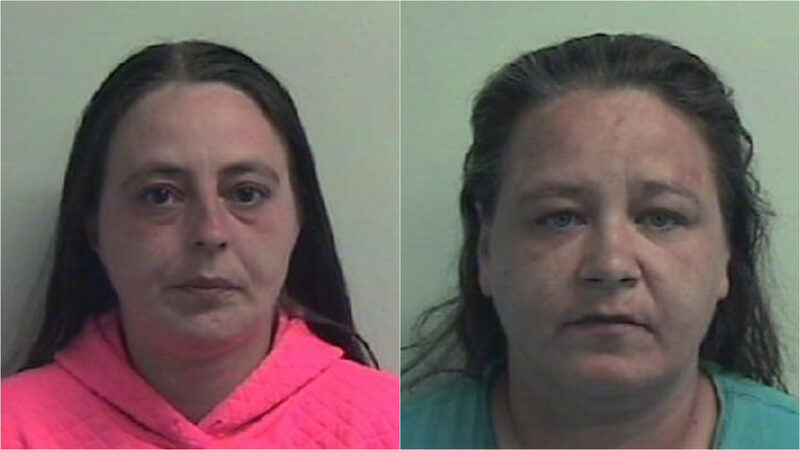 Due to the criminal proceedings against Wade and Sweeney – who was employed as a cleaner – family members were not interviewed and the details have only now emerged after their sentencing. The family was not known to police until Lauren’s death in March 2015, and the 14-year relationship between her mother, 38, and partner Sweeney, 36, only emerged at that point as it had previously been perceived Wade was a single parent. The reasons for this fact being hidden remain unclear. Initial health visits recorded Lauren as appearing well, gaining weight and meeting expected targets. In November 2012, a month after she was born, a health visitor conducted a series of home visits and noted an improvement in conditions over the period. Various other health visits followed but some were not recorded, or cancelled by Wade. After July 4 2014, Lauren was not seen by a health visitor and there is no evidence suggesting anyone outside the family saw her between July 9 and when she died on March 20, 2015. When Lauren was five months old in March 2013, the health plan indicator was recorded as “core” – meaning she was not at risk and the next planned review of conditions was due in April 2015 when she was aged 30 months. Lauren died aged 29 months. He said: “This is a unique set of circumstances, thankfully. It’s the most deviant and devious parenting couple I’ve ever encountered. “This heart-breaking case involved a number of different agencies and lessons have already been learned and applied through various dissemination and training activities. “Measures have been, and will continue to be, put in place to improve information sharing between agencies and to ensure concerns about a child or children are identified and jointly acted upon at an early stage.